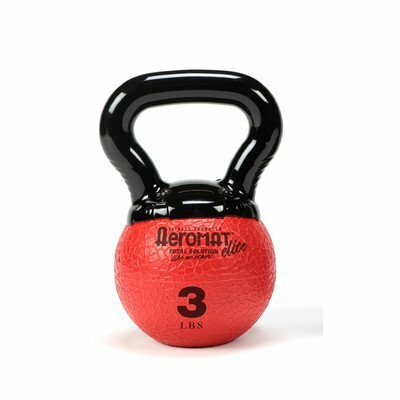 85801 Color / Weight: Red / 3 lbs Features: -Kettlebell. -Made of latex, PVC, phthalates and chloride free material. -Used for group and personal training. -Pliable material structure. Product Type: -Kettlebells. Quantity: -Single. Weight Range: -< 5 Lbs.. Weight Range: -5-30 Lbs.. Fitness Goal: -Strengthen Core. Dimensions: Color / Weight Green / 8 lbs - Overall Product Weight: -8 Pounds. Color / Weight Light Blue / 7 lbs - Overall Product Weight: -7 Pounds. Color / Weight Purple / 5 lbs - Overall Product Weight: -5 Pounds. Color / Weight Orange / 4 lbs - Overall Product Weight: -4 Pounds. If you have any questions about this product by Aeromat, contact us by completing and submitting the form below. If you are looking for a specif part number, please include it with your message.